Whether your flipping homes, planning to sell or just wanting to create a more expensive looking interior, timber mouldings can help you achieve this. Interior timber mouldings make up approximately 1.2% total project construction costs, but for that investment, you could expect to increase the total property value by up to 30%. Intrim recently had a customer purchase a property for $930,000. They spent $4,367 on bespoke timber mouldings to update the skirting and architraves in the home, and also completed a few other minor aesthetic renovations such as repaint and new carpet. 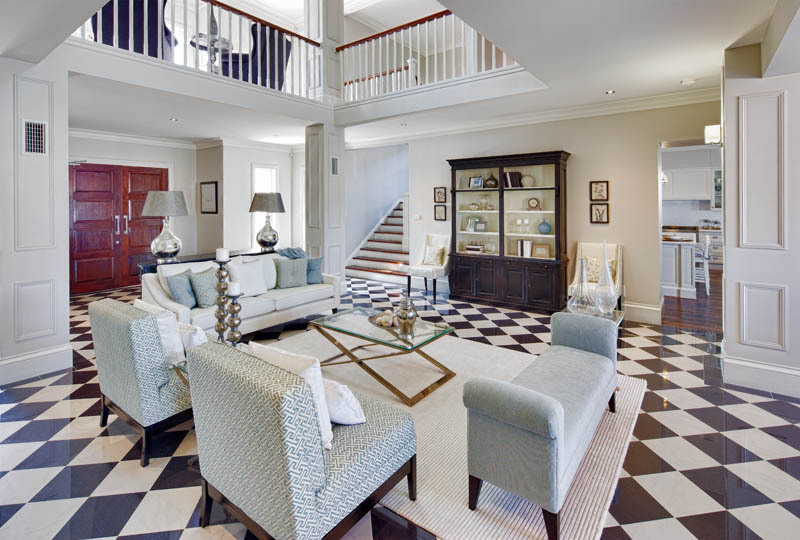 After these improvements were complete, the property was valued at $1.275 million. Most trimwork is relatively straight forward for a handy DIY-er to install and provides one of the highest ROI’s to spend on a project… make them your next investment! We have many great how to videos to help you through the process of installation to help you on your way to owning the home you’ve always dreamed, or to achieve a higher sale value. 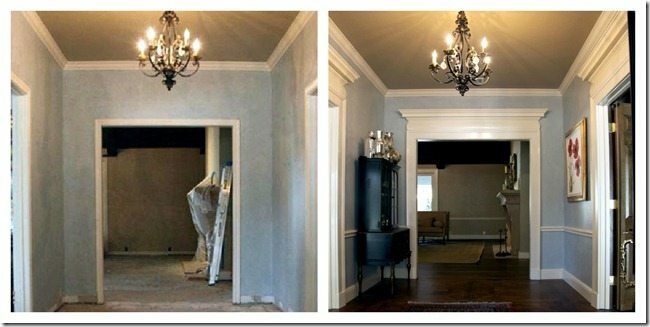 Super Thick Cornice Moulding Trick: Install a basic cornice molding, or use the one currently installed in your home. Then, 5-8cm below the cornice install decorative picture frame moulding. After filling the gaps and painting the trim and the space in between the two pieces, it appears to be one large, thick piece! Moulding on Wallpaper: Wallpaper on a feature wall creates a focal point in a room and defines the space, however, when all walls are covered with wallpaper, the look can feel cluttered and undefined. You can add mouldings to create a contrast and 3D visual effect, such as adding a picture rail, chair rail or wainscoting over the top of the wall paper, and even painting it in a bright colour gives that added contrast. A great modern twist on a classical look! Creating the illusion of a high ceiling: If you’re room is small or you’re just wanting to make the space look larger, replacing your cornice mould for a smaller profile can help achieve this. You don’t have to sacrifice design aesthetic to achieve this. You can then paint the ceiling colour down onto the walls changing the eye’s perception of the ceiling boundary, instantly adding more height! Reveal your Windows: Increasing the size of your windows not only increases the light, but assists in creating the concept of more space. When you don’t want to go cutting out windows and knocking out parts of your walls, you can add beautiful, decorative timber architraves to frame your window and make this a feature in the room. Adding the right trim work to a window (particularly a larger architrave to the top of the window) can give the illusion of a larger window, and gives the room more depth. Chair rail: You can create beautiful details and help fill a larger room or create flow between rooms by installing wainscoting. If you’re looking to create more space, you can just install a chair rail. Hang it high or hang it low, but whatever you do don’t cut your room in half! This same rule applies to wainscoting, picture rail, borders, or any other decorative detail that you want to wrap around your room. Chair rail is one of the easiest and cheapest ways to add moulding to a room, but if not used with an eye for proportions it can make a room look short and closed in. You are best to install chair rail lower than too high, as it can diminish the size of a room making it feel vertically squashed. There is the general rule of thirds… hang the chair rail at the lower 1/3 height, and picture at the upper 2/3 height, but when trying to add visual height to a room, putting the chair railing lower and picture rail higher will actually trick your eye into thinking that the room is taller. The use of different coloured paints on the wall on each section can also enhance this look. If you already have chair rail installed in your home and you think it is closing the room in, you can try painting the lower wall and chair rail in the same colour, and the top portion of the wall in a lighter colour to help open the room. Change the Focus: If you have a plain wall or columns in the home, make them into a feature piece and add timber mouldings to decorate. This can be a very simple and cost effective method to achieve WOW in the room. The home below demonstrates this superbly. Can’t replace your skirting boards? Make them look larger: Adding an architectural moulding, such as picture rail, inlay mould or chair rail to the top of smaller skirting boards can instantly increase their size and detail. You may even want to add the new moulding slightly higher than the skirting board and paint the wall between tricking the eye to believe the skirting is even higher.